On Sept 9th, Kickstarter began officially supporting Canadian kickstarter campaigns. As expected, a wave of Canadian Kickstarter campaigns followed, including a few by friends of mine. I love my friends, and I’ve always said: “If you kickstart something, I’ll back it.” as a universal rule. Making something on your own is one of the hardest things to do and I want to let my friends know that I have their back. I’m sharing these kickstarters, not only because they are interesting, but the people behind them are amazing individuals whom I adore. One of the first Canadian Kickstarter’s out of the gate was John Warner’s “The Fall“, an exploration and narrative-heavy Metroidvania. Why I love The Fall: The focus is on story and narrative over gameplay. 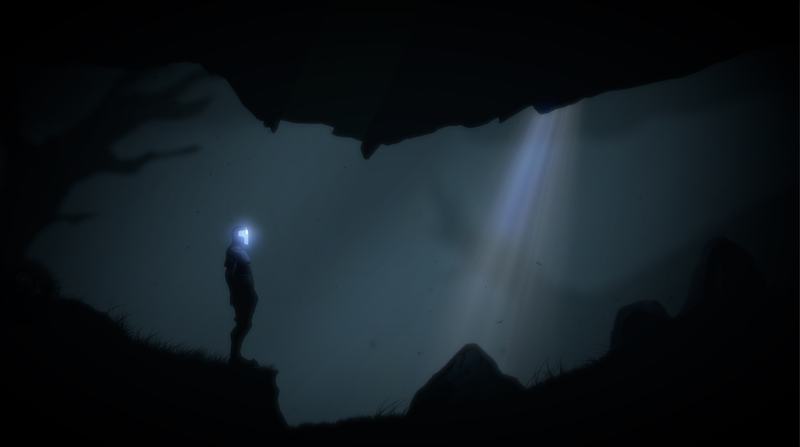 Two of my favorite games of the past year, Dear Esther and 30 Flights of Loving were narrative only games. It’s not a game you get behind because it’ll be fun to play, you back it because of it’s potential to be interesting and provocative. Why I love John: John is an eccentric and an idealist. He marches to his own drum and sees the world through his own eyes. He has a firm voice and he knows what he likes. If you disagree with him, he’ll tell you that you are wrong, regardless of the facts. People like this over the age of 21 are very rare. I rarely, if ever, agree with John, but I always enjoy the conversations. This sort of singularity of vision is something I think we need more of in games. The Fall may not enthral the masses, but it will be exactly what John wants it to be. Shortly after Kickstarter opened up in Canada, my dear friend, Nick Yonge, told me he was going to launch a Kickstarter – next week. A few days earlier, this wasn’t even on his radar. 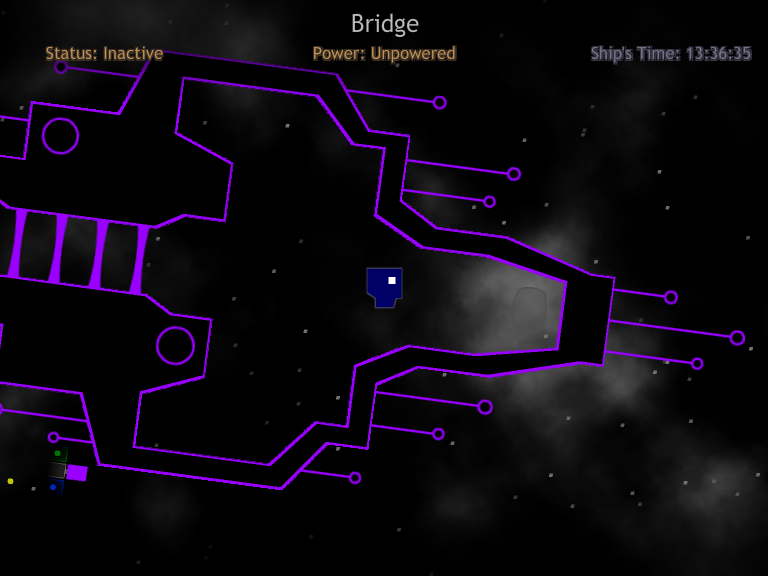 Emerald is a side scroller, zero gravity exploration game where you wander a ship, unravelling its secrets. It started as a Global Game Jam project and now Nick is kickstarting it to put the finishing touches on it. 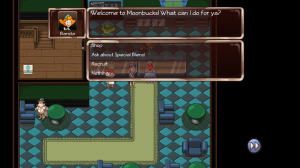 Why I love Emerald: While Nick insists he isn’t an artist, I love his sparse design style. I expect the story to be very strange. Very, very strange. Strange Story + Minimalistic Art = Awesomesauce! Why I love Nick: OK, full disclosure, I could write an entire blog post on why I love Nick. I regularly say: “I want to be Nick Yonge when I grow up.” He’s a former student of mine, but I’ve learned more from him than he knows. Nick does everyone I think an indie developer and artist should do. – He gets excited about projects, ignores the world while he works on them and they either get cancelled or they ship. – He doesn’t worry a whole lot about marketing, target markets or commercial viability. Instead he makes the game that he wants to make and ships it. – He ships. A lot. – He is a constant ball of loving, smiling, positive energy and is always helping out other developers or rounding people up for beers. Out of all of the games I’ve seen on Kickstarter, I know this one will ship. You can back the project knowing that you will get a game, and you’ll probably get it sooner than you expect. 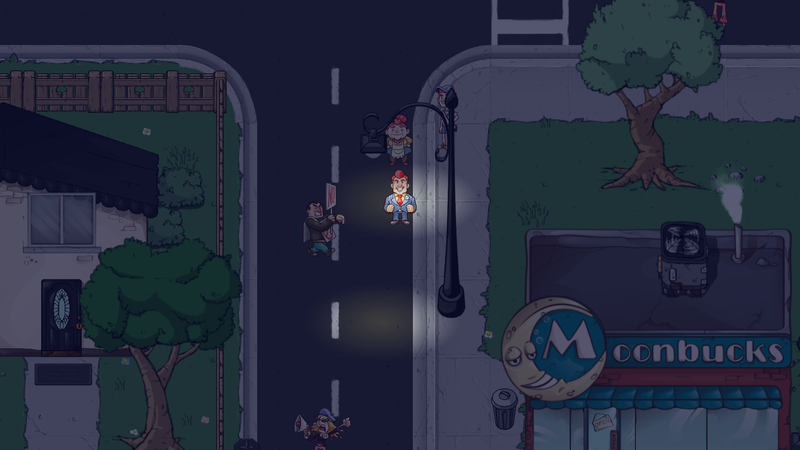 Citizens of Earth is a comedy RPG where your party is made up of every day people. A modern day Earthbound, if you will. 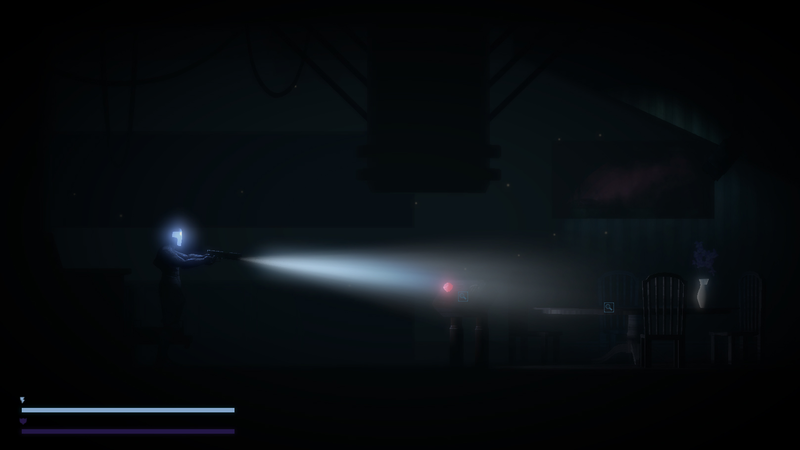 It’s Ryan Vandendyck’s second game as an indie and it already has a ton of promise. 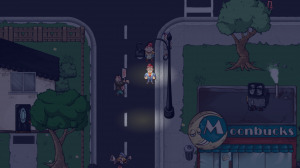 Why I love Citizens of Earth: It’s an indie comedy RPG. I love games that can make me laugh. 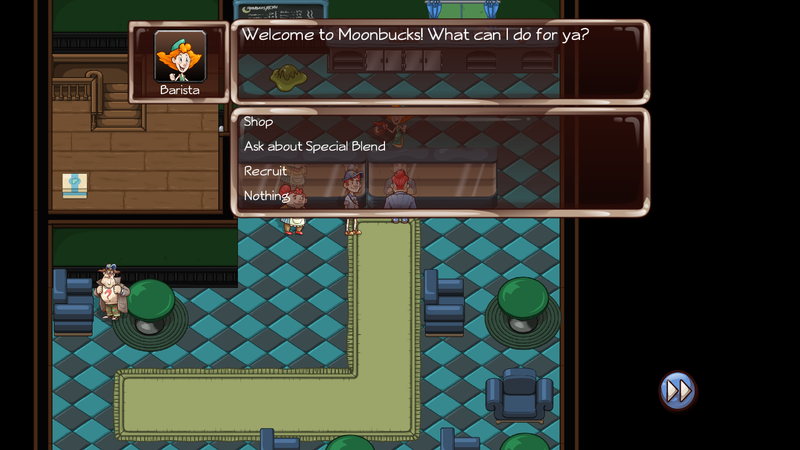 I want to make a party where the Barista is a key character. Ryan has been demoing Citizens of Earth at the monthly Full Indie meetup in Vancouver and it’s looking great. Why I love Ryan Vandendyck: Ryan is a game industry veteran with a bunch of shipped titles under his belt. His first indie game, Waveform, was a success largely due to Ryan’s commitment to making it happen. 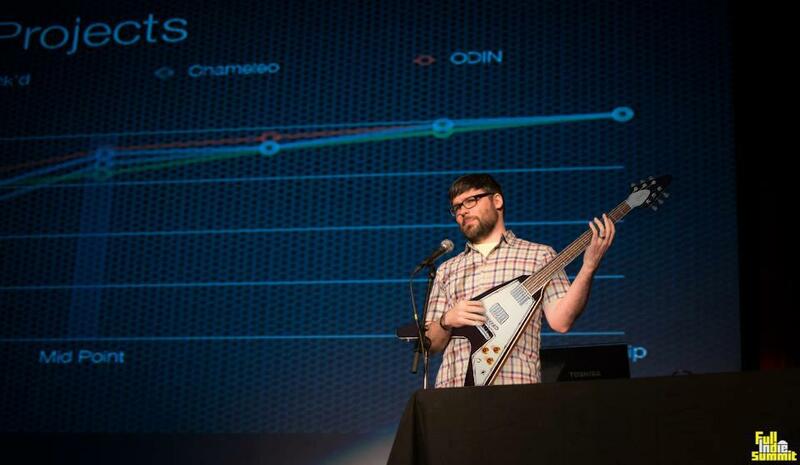 At GDC, Ryan ruthlessly pursued the media, getting Waveform press coverage. If Ryan says something is going to happen, I believe him. All three of these games have a lot of potential. The creators behind them are brilliant and passionate. Check them out and if they are up your alley, consider backing them. If nothing else, I promise none of them will be boring, cookie-cutter games and each will give you a unique experience.